Nike Swift Women's Running Jacket has you covered in smooth, stretchy fabric and modern design. It has a hood and full-front zipper for customizable coverage as you speed along your route. 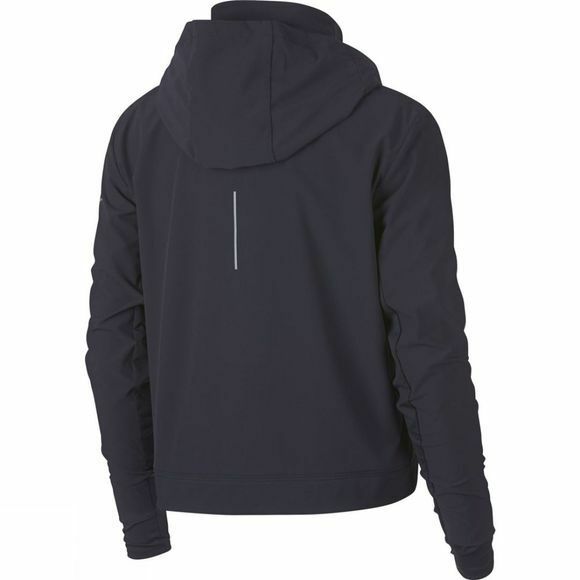 Removable hood offers versatile coverage. Sleeve panel is constructed with spandex for a nonrestrictive fit. Structured, standup collar helps block out cold air. Hem length hits above the hip. Bungee with adjustable cordlocks at the hood offers a customizable fit. Security pocket inside the right hand pocket offers convenient small-item storage. 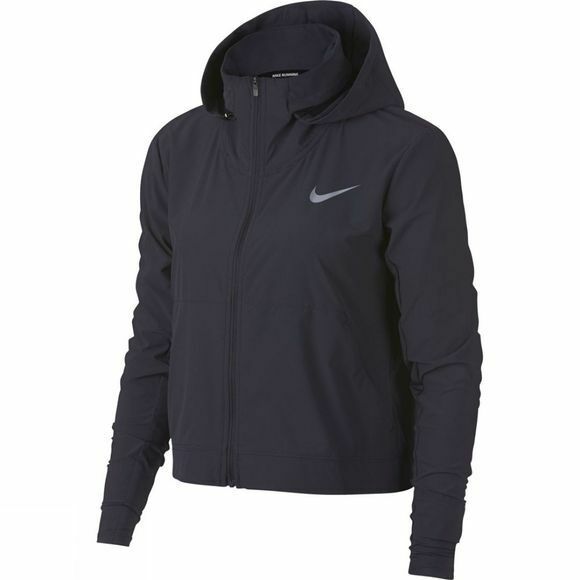 This jacket is designed to be worn with the Nike Swift Women's Running Pants (928117) as a tracksuit.